Welcome to Margaret Bahe's Home Page! Margaret Bahe earned her Biology degree at Princeton University in 1977, taught biology for two years in New Caanan, Ct. and joined the JBS Science Department in 1979. She subsequently earned her masters at Webster University with a concentration in Computers and Education. After teaching AP Biology for many years, she taught Biology Achievement, Advanced Biology: Behavior, Conservation and Eology, Biology Achievement and sometimes Science 7. 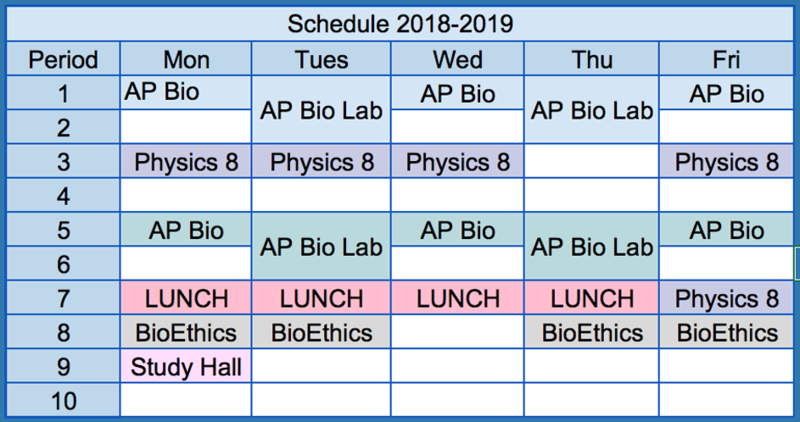 She now has returned to AP Biology, developed a senior elective in Bioethics which she teaches with Mark Smith from the History department, and, most recently, received training in modeling physics techniques so she can teach the new eighth grade semester in introductory physics. In the past she has consulted for the college board, giving workshops for novice AP teachers; she conducted week-long summer institutes on organizing an AP Biology course; and, for 12 years, she spent 10 days in the summer grading the national AP exam. Since she is trained as a Forestkeepers Volunteer and as a Level III Stream Team Monitor, her Advanced Biology regularly tested JBS woodlands and Deer Creek and submitted data to the Department of Natural Resources. As an outgrowth of the Conservation course, she has lead student trips to Panama and Belize and since 2009, she has taken large groups of 8th graders to the Grand Canyon and surrounding areas in June. She has worked with JBS Outdoor Education by leading canoe campouts, backpacking trips, and cave explorations. She is a member of the May Project Review Board, former Coordinator of Faculty Evaluation, and frequent faculty participant on Senior Drey Land, Drey Land Plus, 7th Grade Drey Land and Biology Drey Land programs. 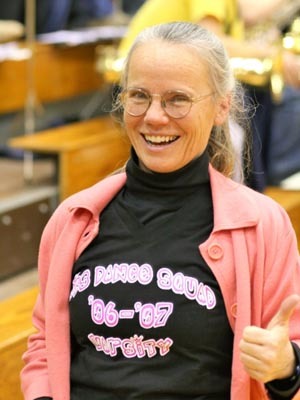 For six years, Margaret sponsored August Days for two weeks each summer; for 10 years she sponsored the Yearbook, overseeing students as they designed yearbook pages, and now she supervises the Dance Squad. Margaret served as the Science Department Chairperson from 2001 - 2011. Margaret received the NABT Outstanding Biology Teacher of the Year award in 2004 and the Carol B. and Jerome T. Loeb Prize for Teaching Excellence in 2011.